Spring Brook Ranch is one of the premier Tibetan Yak breeders in North America. We produce a full range of phenotypes; national champion show stock, fiber producers, pack stock and meat stock. We have won more national level ribbons than any other breeder. Our bloodlines are found in almost every herd of merit in the country. We concentrate on easy to handle animals with friendly and tractable personalites. We are avid Facebookers with constant updates and communication. For the latest ranch news please visit us there. We are taking orders for 2013 calves that will be weaned in October. We have a few cow/calf pairs available now. If you are a breeder or potential breeder and would like to schedule a ranch tour, please give us a call. We are only 35 miles from Glacier National Park so you can make a vacation of it. 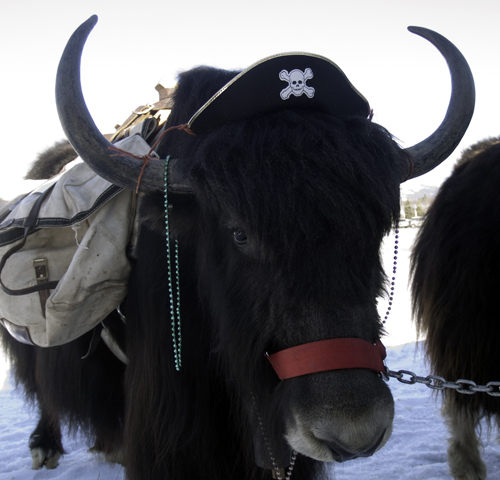 If you are an existing breeder/customer and would like to schedule a Yak Camp or if you just want to yak about yak, give us a call or visit us on Facebook.